A sweet girls chapel veil embroidered with the Miraculous Medal of Our Lady. 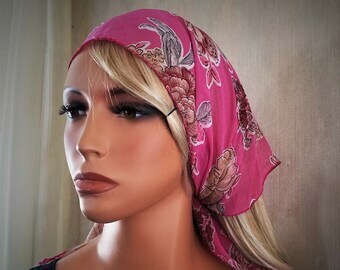 The veil is of pink point d'espirit lace framed in white floral lace trim in the popular D shape. 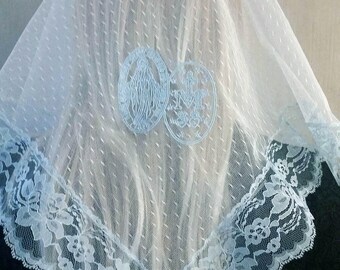 The lace is soft and drapes perfectly. 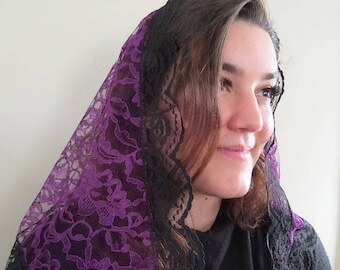 This is the kind of chapel veil that will become a family heirloom. 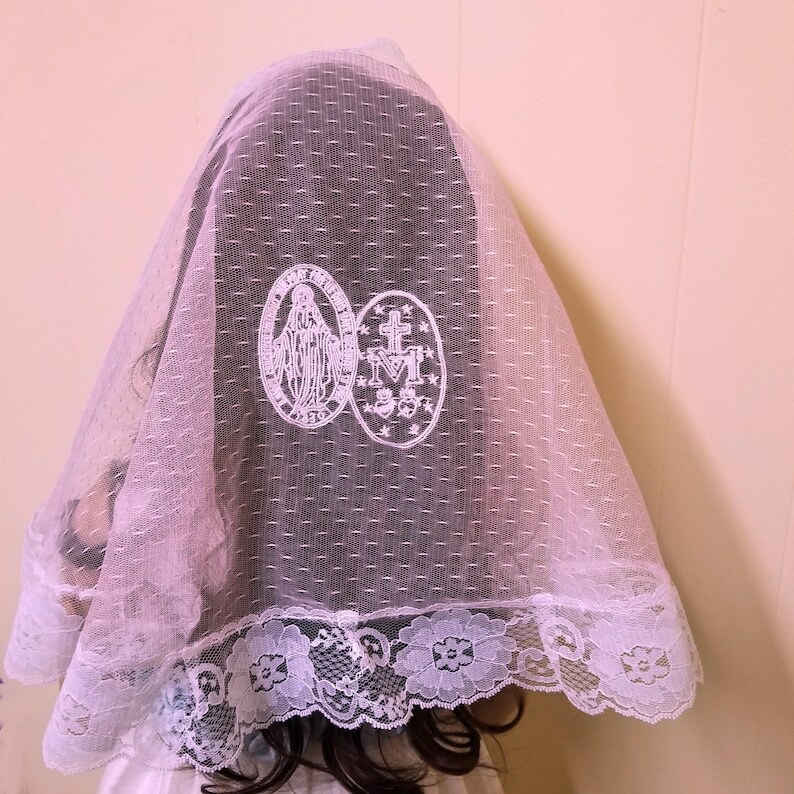 Your veil will arrive in a specially designed brocade carry pouch with a separate pocket for your rosary, along with a prayer card, and a floral sachet to keep your veil fresh. 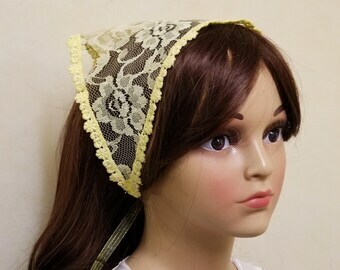 This chapel veil can be fit with a removable comb so you can take it out to store your veil without poking a hole in it. Or if you prefer, you can have two loops sewn in to use with matching bobby pins.